Make Your Factory Smarter, and Wiser! Struggling with connecting your devices in the field? Looking for a ready-to-use tool to manage your devices? To implement the application of Industry 4.0 and IIoT ICPDAS provides smart IIoT Controllers to integrate with your system. Tey can easiliy work with IoTstar, a cloud-based software tool, to manage your devices, and make your life easier. Want to learn more? 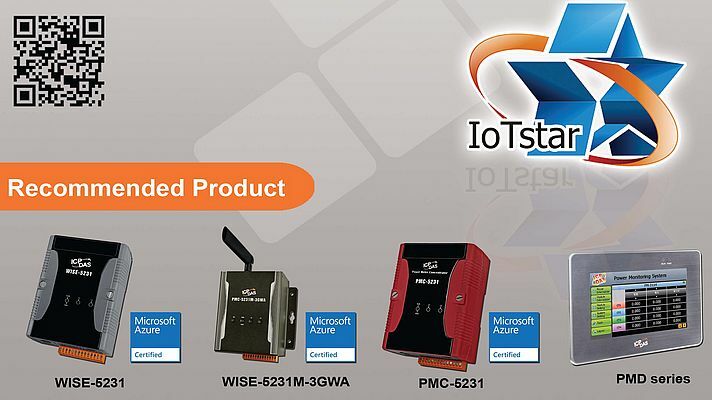 Visit iotstar.icpdas.com/en/index.php. ICP DAS is an experienced company focuses on developing, manufacturing and servicing efficient and comprehensive automation products and solutions for industrial automation control, monitoring and data acquisition.